The US president has continued his verbal attacks on some of his country's closest allies following a divisive G7 meeting. Germany came in for its share of lambasting over its NATO contributions. US President Donald Trump on Monday continued his vitriolic attacks on several close allies in the wake of his early departure from an unusually discordant G7 meeting in Canada, which saw him withdraw US support for a joint communique. From Singapore, where he is set to hold a historic summit with North Korean leader Kim Jong Un, he unleashed a volley of angry tweets targeting the European Union, Canadian Prime Minister Justin Trudeau and NATO allies, including Germany. "Fair trade is now to be called fool trade if it is not reciprocal," he wrote in one tweet that then went on to accuse Canada of imposing unfair tariffs on US dairy products. "Sorry, we cannot let our friends, or enemies, take advantage of us on trade anymore. We must put the American worker first!" he later wrote. Trump also slammed Europe, writing: "The US pays close to the entire cost of NATO — protecting many of these same countries that rip us off on trade ... The European Union had a $151 billion surplus — should pay much more for military!" He singled out Berlin for criticism over its contributions to NATO, echoing previous remarks he has made. "Germany pays 1 percent (slowly) of GDP towards NATO, while we pay 4 percent of a MUCH larger GDP," he wrote, saying that the US was protecting Europe and being "clobbered on trade" in return. Trump's renewed comments on trade come amid a growing dispute between Washington and its top allies. The president has imposed tariffs on steel and aluminum imported from Europe, Canada and Mexico, fueling fears of a trade war as a number of countries mull retaliatory measures. However, despite Trump's heated rhetoric, the US ambassador to Germany, Richard Grenell, has expressed confidence that the trade conflict can be settled, but said it would take some time. In comments published on Monday, he told newspapers from the Redaktionsnetzwerk Deutschland association that "everyone knows how much is at stake." In view of threatened US tariffs on car imports, which would particularly affect Germany, Grenell said that he was a "big car fan" and knew how important the industry was. Grenell is a somewhat contentious figure in Germany. 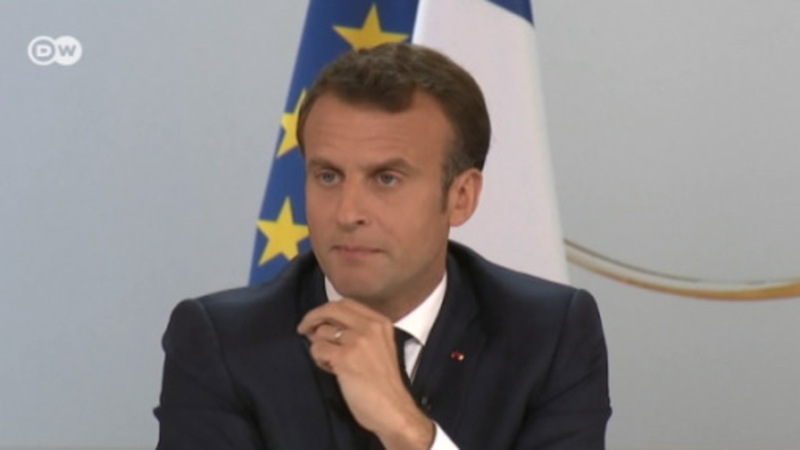 He came under criticism last week for interview comments in which he vowed to "empower" right-wing movements in Europe, drawing fire for what many saw as illegitimate meddling in the democratic process. Read more: Are German cars American enough? Who is Richard Grenell, the US ambassador to Berlin? Are German cars American enough?